Racers:Time to start your engines! 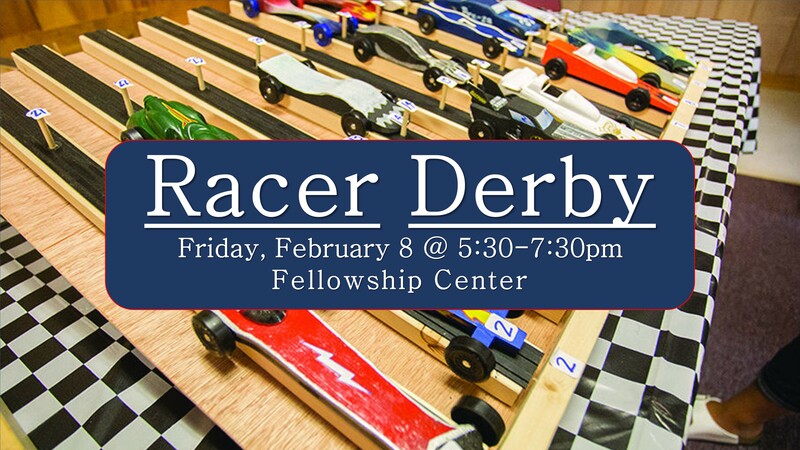 Join us Fri, Feb 8, for our annual Racer Derby. Mexican Food Dinner will be available at 5:30pm. Max $20. Pay online – at church – at door. Additional snacks will be available for purchase. 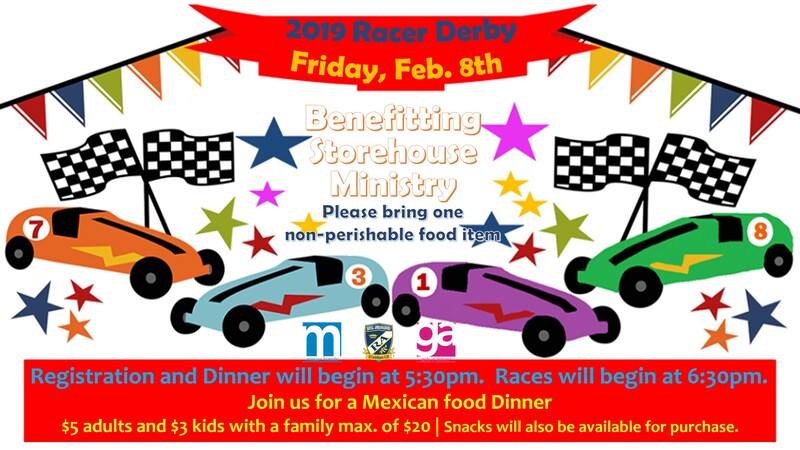 Race begins at 6:30pm.